525 WEST VAN BUREN IS THE WEST LOOP'S FINEST EXAMPLE OF THE INTERSECTION OF CUTTING EDGE DESIGN AND CHICAGO STYLE BROAD SHOULDERED INFRASTRUCTURE. ​The building’s highly efficient, column-free, 33,500 square foot floor plates offer tenants incredibly modern and efficient office space for open plan and private office users alike, providing outstanding light and air throughout and expansive views in all directions. Its state-of-the-art infrastructure, including 7.5 watts per square foot of power to tenant space, oversized risers for telecommunications, low-temp variable air volume air conditioning, and a generator for emergency systems provides tenants with all of the technology that is available in the newest buildings in the market today. 525 is strategically located in the West Loop submarket at the corner of Van Buren and Canal Streets in close proximity to Union Station, Ogilvie Transportation Center and LaSalle Street Station, and directly adjacent to the I-290 expressway for direct access to Chicago’s interstate system. In addition to the 40 space, executive heated garage in the building, 525 is located directly across the street from the largest public parking garage in the West Loop, the Union Station Parking Garage, with over 1,700 spaces. 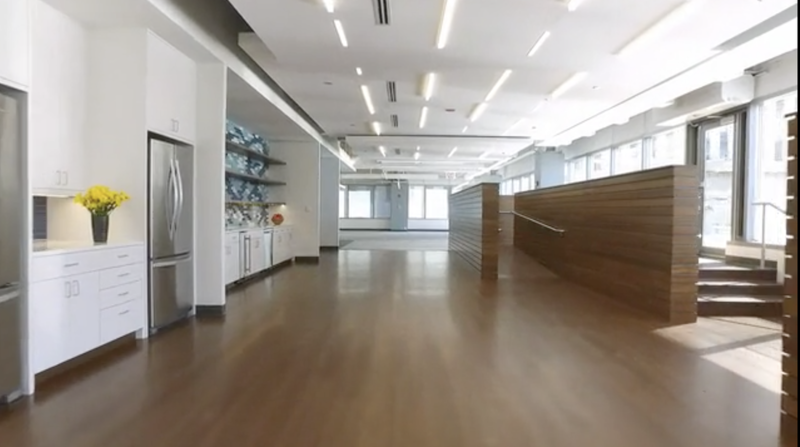 TAKE A VIRTUAL WALK THROUGH OF ONE OF 525WVB'S MOST EXCEPTIONAL OFFICE SPACES, SUITE 200. ​Watch the video to digitally tour this 33,629 RSF full floor leasing opportunity that includes a 2,500 RSF private outdoor deck.